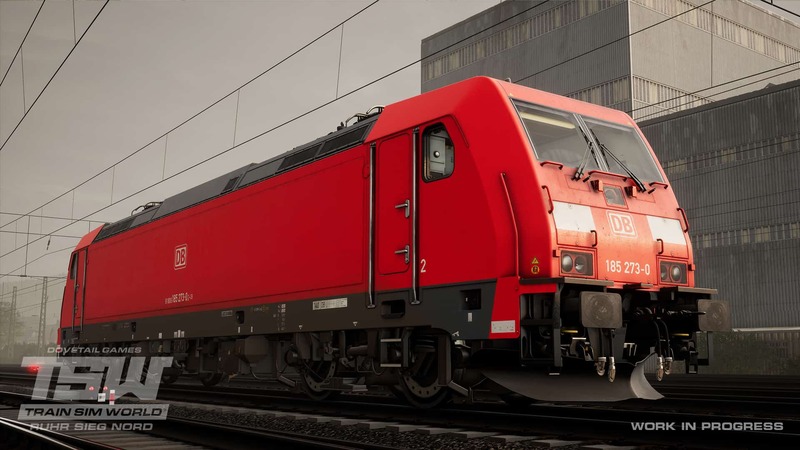 …will soon come to life in the next expansion for Train Sim World, as the northern section of one of the oldest lines in Germany, the Ruhr-Sieg Railway from Hagen to Finnentrop, is coming soon, initially to Windows PC. Word of a horse-drawn railway to better transport coal for Siegen’s iron and steel industries was first heard in the 1830s, however, many disputes would take place regarding the route itself, and where it would go via. With the project now pushed back to the 1850s, horse-drawn proposals were replaced with steam traction, and a path through the Lenne and Hundem valleys was selected. Construction finally started in 1858, lasting until 1861, during which time the line was opened in phases as a single-track railway. To navigate through the valleys, many tunnels were bored out of the landscape, and by none other than the engineer who helped out on the Semmeringbahn, Franz von Rziha. While primarily for freight traffic, the Ruhr-Sieg Railway has stations built at major towns to take advantage of transporting passengers, and this would ultimately prove popular to the point where regional and regional-express services still operate to this day. With the increasing levels of passenger and freight traffic, the line was doubled in 1870, although quieter depots were left by the wayside when the route was electrified. Translated into Train Sim World, and the railway comes to authentic life. 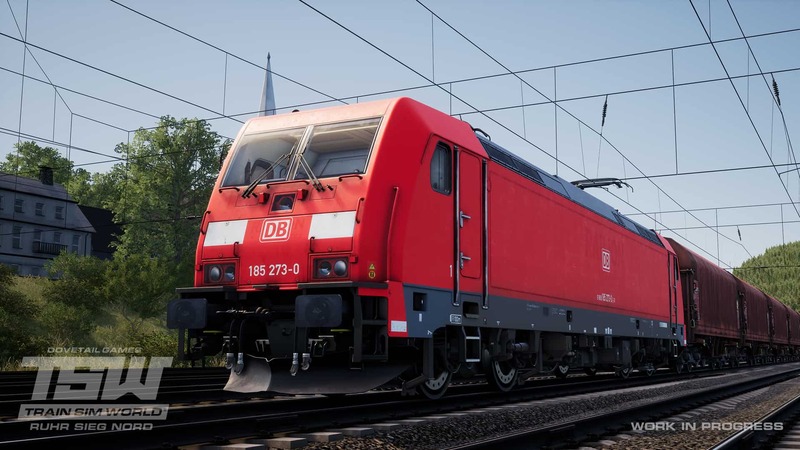 Its run-down, freight-centric past is apparent throughout, with stations and passenger services secondary in nature to the hauling you will be performing aboard the DB BR 185.2 electric locomotive; and for passenger use, the classic DB BR 143 will be at your disposal, twinned with Doppelstockwagen vehicles, complete with the cab car – offering trio of unique driving experiences as you explore the valleys of North Rhine-Westphalia. Watch this space, as Train Sim World: Ruhr Sieg Nord, covering the 61 km route between Hagen and Finnentrop, is coming soon.